On Saturday, while driving on Long Island with a few hours to kill, I stumbled upon a video game store in Stony Brook called The Revolution. I don’t hang around game stores much—when you spend most of your waking hours playing and writing about video games, the stores aren’t quite as appealing—but something about this one really stood out to me. Maybe it was the free arcade machines, or the rows full of old PS1 role-playing games, or the way the friendly owner assured me that if I couldn’t find a game I wanted, I could order with him and get it within a week, guaranteed. 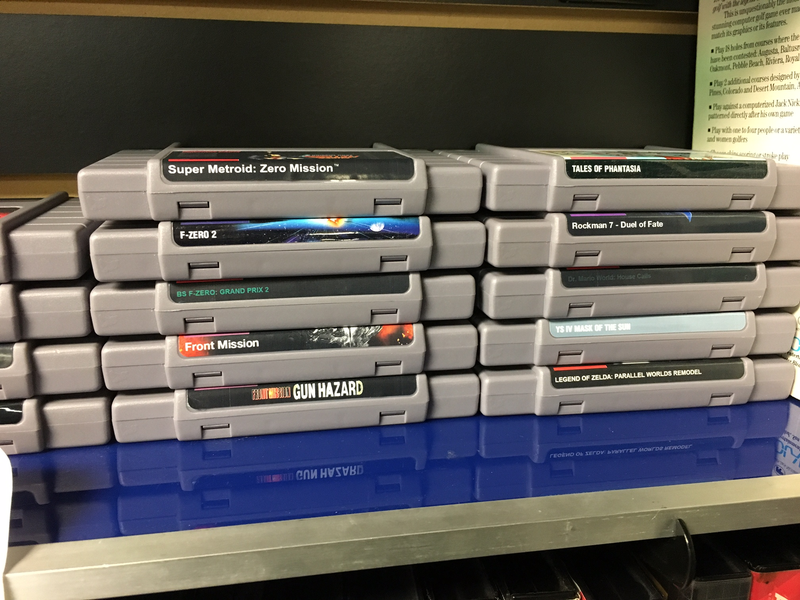 While browsing the shelves, I spotted the coolest thing in the store: a rack of SNES games that weren’t actually real SNES games. They were ROM hacks—unlicensed reproductions of SNES ROMs like Chrono Trigger: Crimson Echoes and Japan-only releases like Tales of Phantasia—placed onto cartridges that can be played on certain devices. The whole thing made for a nice contrast to the store I usually use, which is, uh, GameStop. Something about independent game stores will always feel really special.